We’d slept in Christchurch upon arrival in NZ, arriving at midnight and leaving with the campervan the next morning. Now back and saying goodbye to the van, we were happy pedestrians. 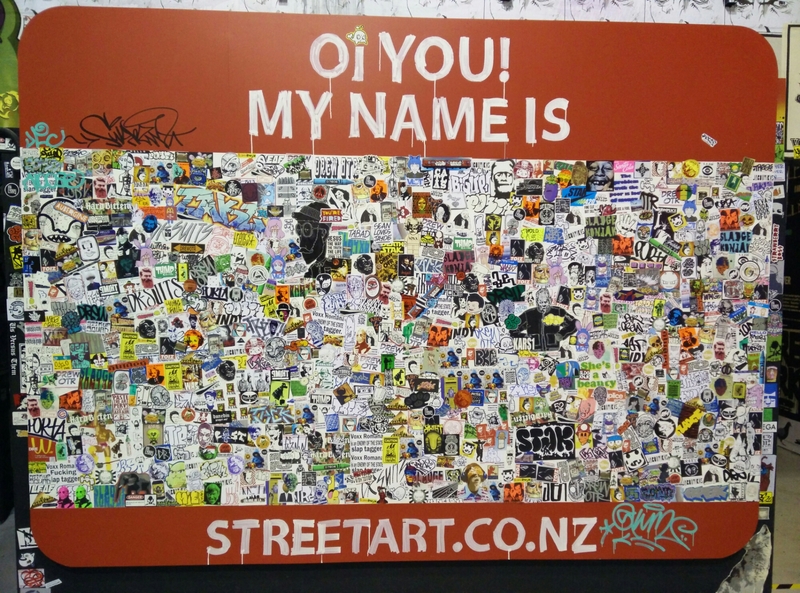 We both recalled hearing about the Christchurch earthquakes, but seeing the city changed that memory. Construction cranes marked corners, sidewalks were being remade, and a centerpiece downtown was a container with video displays of rebuilding plans. The first earthquake hit in 2010 and then a second round came in 2011. 185 died, nearly 2000 were injured and in the downtown and surrounding area many of the buildings that did not fall had to be brought down due to structural issues. Slowly, methodically, urban planners seem to be making lemonade by building a new city of dreams. Stadium plans, convention center, green spaces all look promising, but perhaps tough on the impatient. We saw a famous debated Anglican cathedral which is a central point in the debate. Some say it is too damaged, and must be torn down. Some disagree, saying large parts of the structure are intact. Of those who say tear down, the next question is then what? Some say it must be rebuilt as it was, since it was part of the skyline and a landmark. Others say it was a copy of European gothic cathedrals which were often copies themselves of true gothic era buildings. 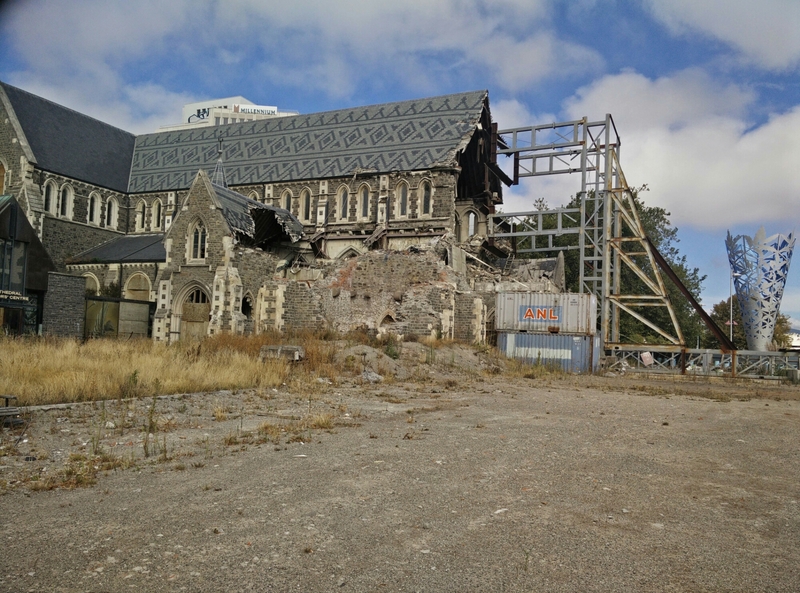 This group, perhaps the same that says NZ needs a new non-Union Jack flag, says a new cathedral is an opportunity to define a truly NZ architecture and Christchurch style. The jury is out, but I suspect pricetags will play into the resolution. 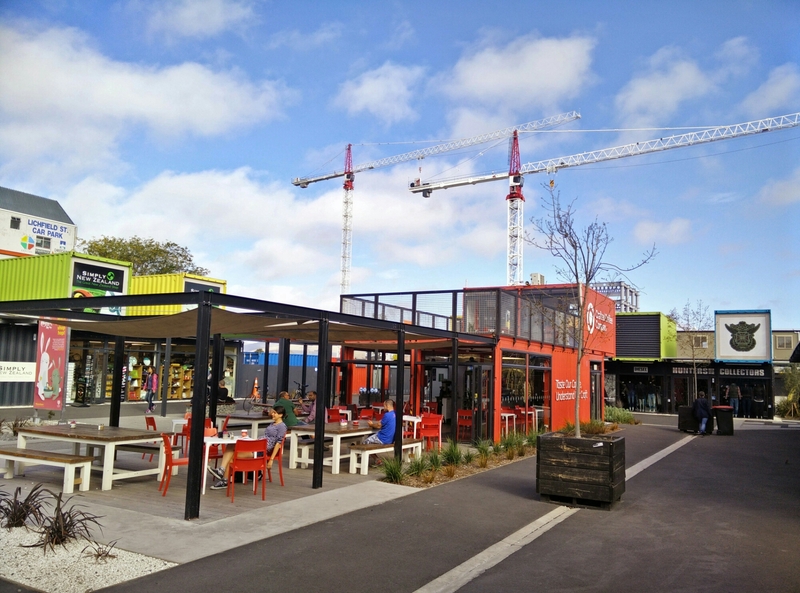 We meandered over to Re-Start, a shipping container shopping area that is the post-Earthquake mall. We even strolled into a graffiti- pardon, tagging- exhibit at the Y which was drawing more interest than the trolley or the church. A snack and a stroll later, we headed back to the hotel. T had the wisdom to check Tripadvisor to see about restaurants, only to learn the #1 spot was meters away. Pedro’s had no menu; “this is what we have” Pedro or maybe his employee said from inside the container shop, revealing a tray of lamb, rosemary and potatoes. “We’ll take it.” We soon wished Pedro had other spots along our route as it was amazing. To top off an already great day, we met with a friend of T’s family who lives in town. We told of our travels as he told of NZ environment, his favorite spots, and more Christchurch history. He was impressed we found Pedro’s so quickly, and we were equally impressed by his warm welcome. The spirit perhaps is stronger at times than the ground beneath us.